Put down your reading and pick up where you left off—even as you jump from one screen to another. • Browse Bookstore for the latest new releases, bestsellers, and expert recommendations just for you! The more you use NOOK, the better our suggestions. 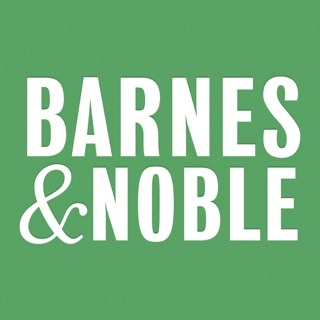 • Purchases completed on Barnes & Noble’s website will automatically appear on your device. • Over 75,000 FREE titles! Try a new author or start a new series risk-free. Download free eBooks directly from Bookstore. • Download free book samples and add favorites to your Wishlist. • Adjustable font styles, line spacing, margins, page animations, and screen brightness for more comfortable reading. Use our Day, Night, and Evening themes or create your own background and text color combinations. • Add notes, bookmarks and highlights as you read. • Organize your Library with custom stacks of eBooks, magazines and your own files. • Search inside the book and look up words with the downloadable in-app dictionary. • Accessible to blind and low vision users leveraging Apple assistive technology, including screen magnification and VoiceOver. • Found an inspiring or beautiful sentence in your book? Highlight and tap on ‘Share’ to launch the quote editor and create a custom Quote Card. • Choose your favorite background and share with friends on social networks, email, and text message. • Visit B&N Readouts for daily streams of free book excerpts, magazine articles, and all kinds of bookish news—including reviews from our community. Share on social, email, and other apps. • Join the thousands of NOOK readers on Serial Reads, Barnes & Noble’s latest free reading program. Enjoy a book every month, delivered FREE in daily chapters directly to your device. Titles are hand-picked by B&N editors across genres. • Enjoy our Free Fridays eBook selection every week. * NOOK account and credit card registration required. • Easier access to sort and filter options in Library and Bookstore -- just tap the blue text! • Additional customization options are now in Library Settings. • You can now group titles by author in Cover View. Visit Library Settings to enable when sorting by author. • Archive has been moved and improved. Visit your Archive by tapping ... in the top right corner of Library. • Full compatibility with 2018 iPads and other iOS 12 devices. Not happy with the new update! Hi JAMarsh65, you can still view your Library items by cover -- all you have to do is open the sort/filter menu (tap the bolded text along the top left that likely says “All Types by Author”) and Sort By “Most Recent” or “Title.” You can also change to Filter By "Archived," to view just the items you've archived. If you have any questions, don’t hesitate to reach out to our Support team or visit the FAQs for tips and tricks on getting the most out of the new experience. When I started this review, I was more glad (see next paragraph) than I am now. Every update seems to decrease function and, today, no txt appears for any book I open. I may be finished trying to make it work. Sorry I recently purchased several new titles! Glad to have Nook on my iPad but wish maneuvering through the app wasn't so clunky. Not close to ease of Nook device but still better than earlier version. Why the app can't let you purchase but the device can is unfathomable. Other reviewers have mentioned the inconsistent sync function which appears to have gotten worse: why can't you fix this? Your tech support doesn't take the time to read the question being asked and makes useless, futile suggestions. Had thought I wouldn't change because I have too many titles to use different one, today's experience may have convinced me to move on. My final comment relates to the inability to utilize coupons for Nook purchases. The price fixing on e-books is a disgrace. The only advantage is portability and it does not outweigh the cost differential and the inability to lend any book I own to anyone I wish. Technology has bypassed common sense again!! Hello Too old to tap! It sounds like you are suffering from the rare “blank pages” issue. We have identified this as being due to a bug in Apple’s iOS 12. It is not related to the NOOK app update. Please power off and power back on your device and this should resolve the issue. Unfortunately, allowing purchase within the app is an issue for most companies that sell digital content on iOS, not just NOOK. Until that situation changes, we are doing the best we can by allowing you to shop and add to your wishlist. Then access the same wishlist via BN.com to complete your purchase. We hope this helps! I have had few problems with the app and I am relatively sure the they are acting on crashes that generate dump data but when I run into non-crash problems: there have been two recently (1) portion of text after end line hyphenation not displaying for certain font sizes, and (2) app freeze to an unresponsive colored screen that I had to reload the app to clear, the responses I get from support are canned. Yes, for most users it might be what they need to clear the problem but I already said I fixed the problem. I am giving information about the problem, for (1) how the app developers can reproduce it, and for (2) everything I tried and failed to clear the problem and as much information about the circumstances and behavior I can gleam. I have been a software engineer longer than probably any of the app developers have been alive and I know the importance of information rather than a simple it's broke or doesn't work. However, I do not get any feeling that my support e-mails are leading to to any bug investigation or fixes. Copyright © 2010-2018 barnesandnoble.com llc. All rights reserved.